Chef Sabyasachi Gorai talks about life after Olive, his cooking show and opening restaurants in Africa. Italian torta with toblerone chocolate. In March last year, Chef Sabyasachi Gorai, “Saby” to friends, admirers and the general eating public, was concerned. After having spent most of his career at the formidable Olive group of restaurants, he was graduating on to work for himself. “After so many years at Olive, I thought I’d be a fish out of water in the outside world. Funnily enough, since then I’ve come to realise I’m happier outside my comfort zone; that’s where I can really perform,” he says. Before hanging up his toque though, he consulted with the group on their latest project, the wildly popular Sodabottleopenerwala at Gurgaon’s Cyber Hub, and also set the curriculum for and taught at the recently-established Olive Culinary Academy. One of his first solo assignments was the TV show The Urban Cook on Zee Khana Khazana, a format he had little exposure to. He had previously refused shows such as MasterChef India and Kitchen Ke Khilda, among others. “TV is a huge investment, where you need to take out a minimum two-three months of your life, something I didn’t have time for when I was running a kitchen. Plus, I didn’t want to do a formulaic, fixed format show filled with all that reality-TV drama. So in that way The Urban Cook was a perfect fit. It was completely unstructured and let me be free to do what I wanted, how I wanted,” says Gorai. The show targets urban yuppie audiences, with segments such as food for bachelor parties (and for the hangovers the day after) and meals that working mothers could put together easily. It sees Gorai dashing around the kitchen, dressed in everyday clothes instead of chef whites without the mosaic of finely chopped ingredients arranged on a pristine cooking surface that is de rigeur for most cooking shows. “We’ve tried to stick as close to the home-cooking style as possible because that’s what we’re trying to show, that you can quickly cook appealing, delicious food at home without being intimidated by technique. That’s why we have also shown stuff like how to butcher a chicken, something not really shown on Indian TV before. Apart from demystifying cooking for TV audiences, Gorai has also been working as a restaurant consultant, counting on his experiences in setting up many different restaurant concepts for Olive. “I want to take a break from uber-luxurious European cuisine and concentrate on more casual and mid-scale fun dining. Indian food is my story now and I’m looking forward to seeing where I can take it. 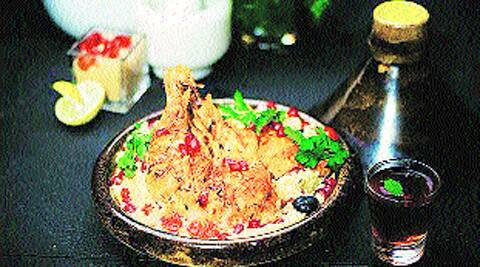 So accordingly, most of my consultancy projects are centred around Indian food,” he says. On his project list are as-of-now unnamed projects in Goa and Bangladesh; Wet Lounge in Nairobi, Kenya; and a soon to be announced tie-up with a hotel chain in Pune. In Delhi, Gorai has set up Le Studio in Hauz Khas Village and conceptualised Gurgaon’s The Wine Company, which recently won the Time Out award for Best Concept Restaurant. “I’ve got consultancy offers from London, Dubai, Singapore and other destinations but I still consider myself a very small player in a very large market. All these places are saturated with competition and while I would like to go there some day, right now I want to concentrate on smaller markets such as Bangladesh or Kenya. In fact, I think Africa is a very exciting market,” he says. Clearly like Shakira, Gorai also believes it’s “time for Africa”.